Paper trimmer uses a laser light as a guide for extra precision. Features alignment guide grid and ruler for accuracy, easy setup and measuring. 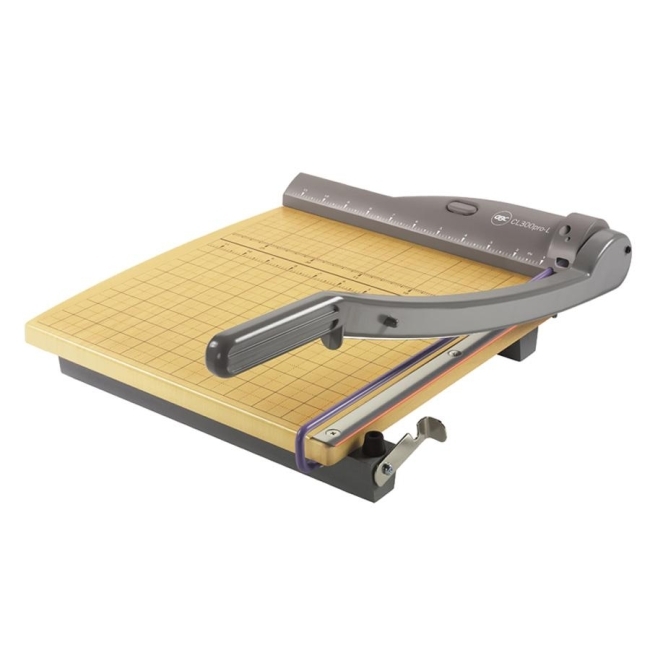 Durable self-sharpening blade cuts up to 15 sheets of 20 lb. paper. Handle is made of sturdy aluminum die-cast metal. Trimmers offer a finger guard, protective guard rail and latch hook that locks blade. Nonslip rubber feet on wood composite and metal base. Ideal for large offices, schools, hobby and photography.